Masterpieces of Chinese painting Xieyi from the National Art Museum of China. 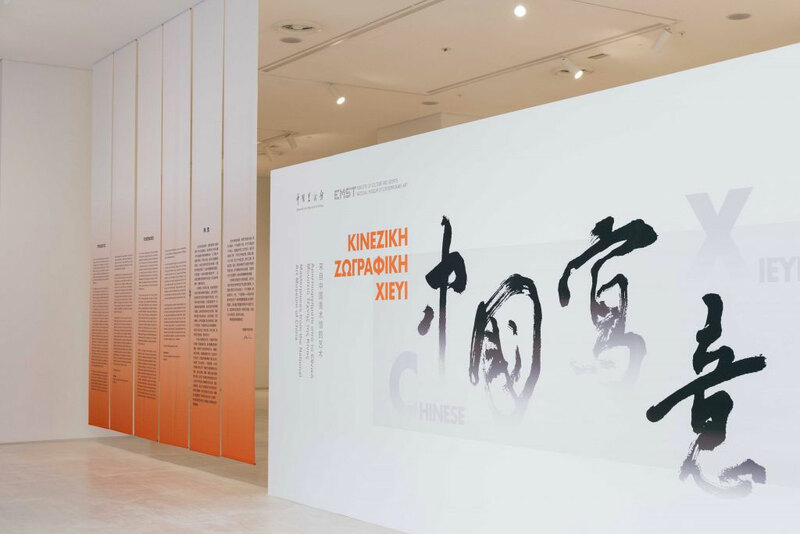 Following the completion of documenta 14, the National Museum of Contemporary Art (EMST) launches its autumn activities with the exhibition “CHINESE XIEYI: Masterpieces from the National Art Museum of China”, which opened on Friday, September 22, 2017 and will be on until November 14, 2017. The exhibition consists of 58 works of “Free Style painting” (the meaning of the Chinese word xieyi) from the numerous collections of the National Art Museum of China. Through a “marriage” of traditional Chinese aesthetics with elements of its western counterpart, modern Chinese painters express emotions, concepts, ideas and world views. “Xieyi is the way modern Chinese painters continue the traditional art of their country and propagate it. Through the works, the visitor will understand both the taste and ways of expression of the Chinese,” explained Zhang Shiyung from the National Art Museum of China. The exhibition is divided into three sections: Free Style painting, Illustration, Artistic Conceptions. It takes place as part of the transnational celebrations of Greece-China 2017, Year of Cultural Exchanges. In 2018, respectively, an exhibition from EMST will be hosted by NAMOC. “Undoubtedly, it was documenta 14 that opened all the spaces of the EMST, which has nevertheless completed one year of activities. One month short of a year”, accurately stated the museum’s head Katerina Koskina, pointing out that the first periodic exhibition “Critical Dialogues: Athens-Antwerp” was hosted by the EMST last October. “We continue despite the difficulties, which are fortunately decreasing, for the EMST to function fully in the coming months. Efforts are being made regarding the staff; we are only a handful. From 14-15 employees we are now 18-19 and growing”, said Katerina Koskina.